When you hear arctic animals, you most likely would think of something big with really thick fur and giant paws or antlers. But oddly enough, you can actually find a creature that looks so fragile and sensitive that it’s better of leaping on lily pads in a pond. There is a type of wood frog known as the Rana sylvatica which lives in the colder areas of North America. These frogs are seen all throughout Georgia to Canada and even to the Arctic Circle. What makes them so special is that they have an ability to freeze themselves during the really cold seasons and thaw out when the warmer seasons come in. 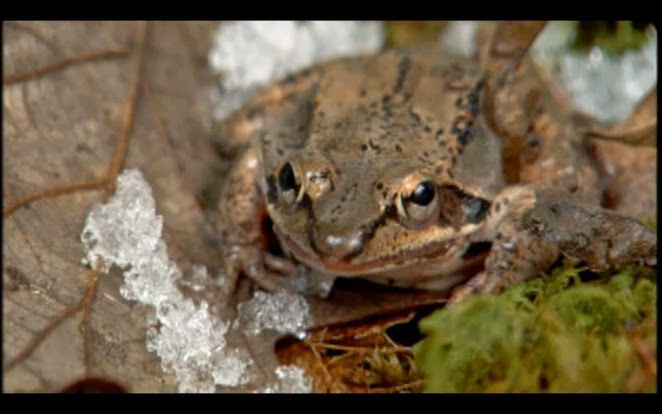 Numerous studies have been done on these frogs extreme ability on freeze tolerance over the past 25 years, but a notable one is by the Department of Zoology at Miami University in Ohio led by Jon Costanzo. He wanted to learn more about how the Rana sylvatica could stand the freezing and the chemical and physiological factors that comes with it. 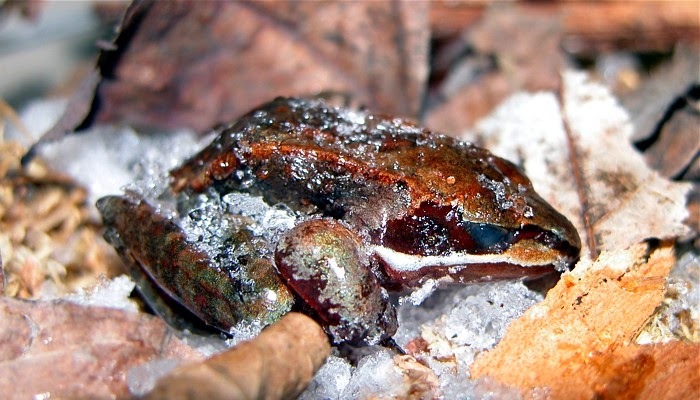 However, the Rana sylvatica is not the only animal that could actually survive the extreme cold. There are other reptiles, insects and even marine species that thrive in ice cold environments. However, only a number of these creatures have the Rana sylvatica freezing abilities. These small amphibians can basically survive for a number of weeks even when most of the water content in their bodies is completely frozen. They turn into solid frogsicles under their frozen state during winter.